December 28 is the 362nd day of the year(363rd in leap years) in the Gregorian calendar.There are three days remaining until the end of the year. 169 BC – The menorah is lit to rededicate the Holy Temple of Jerusalem after two centuries of foreign rule and religious oppression and a seven-year revolt. The menorah burns for eight days without the sufficient fuel needed to do so, birthing the holiday Hanukkah. 1659 – The Marathas defeat the Adilshahi forces in the Battle of Kolhapur. 1879 – Tay Bridge disaster: The central part of the Tay Rail Bridge in Dundee, Scotland, United Kingdom collapses as a train passes over it, killing 75. 1885 – Indian National Congress, a political party of India, is founded in Bombay Presidency, British India. 1895 – The Lumière brothers perform for their first paying audience at the Grand Cafe in Boulevard des Capucines. 1902 – The Syracuse Athletic Club defeated the New York Philadelphians, 5–0, in the first indoor professional football game, which was held at Madison Square Garden. 1908 – The 7.1 Mw Messina earthquake shakes Southern Italy with a maximum Mercalli intensity of XI (Extreme), killing between 75,000 and 200,000. 1912 – The first municipally owned streetcars take to the streets in San Francisco. 1918 – Constance Markievicz, while detained in Holloway prison, became the first woman to be elected MP to the British House of Commons. 1941 – World War II: Operation Anthropoid, the plot to assassinate high-ranking Nazi officer Reinhard Heydrich, commences. 1943 – Soviet authorities launch operation Operation Ulussy, beginning the deportation of the Kalmyk nation to Siberia and Central Asia. 1943 – World War II: After eight days of brutal house-to-house fighting, the Battle of Ortona concludes with the victory of the 1st Canadian Infantry Division over the German 1st Parachute Division and the capture of the Italian town of Ortona. 1944 – Maurice Richard becomes the first player to score eight points in one game of NHL ice hockey. 1948 – The DC-3 airliner NC16002 disappears 50 miles south of Miami. 1956 – Chin Peng, David Marshall and Tunku Abdul Rahman meet in Baling, Malaya to try and resolve the Malayan Emergency situation. 1958 – "Greatest Game Ever Played": Baltimore Colts defeat the New York Giants in the first ever National Football League sudden death overtime game at New York's Yankee Stadium. 1967 – Muriel Siebert becomes the first woman to own a seat on the New York Stock Exchange. 1973 – The United States Endangered Species Act is signed into law by Pres. Richard Nixon. 2006 – War in Somalia: The militaries of Somalia's Transitional Federal Government and Ethiopian troops capture Mogadishu unopposed. 2009 – Forty-three people die in a suicide bombing in Karachi, Pakistan, where Shia Muslims are observing the Day of Ashura. 2014 – Indonesia AirAsia Flight 8501 crashes into the Karimata Strait en route from Surabaya to Singapore, killing all 162 people aboard. 2014 – Nine people die and another 19 are reported missing, when the MS Norman Atlantic catches fire in the Strait of Otranto, in the Adriatic Sea, in Italian waters. Year 169 BC was a year of the pre-Julian Roman calendar. At the time it was known as the Year of the Consulship of Philippus and Caepio. The denomination 169 BC for this year has been used since the early medieval period, when the Anno Domini calendar era became the prevalent method in Europe for naming years. 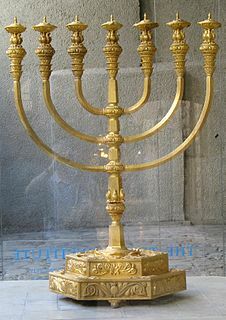 The menorah is described in the Bible as the seven-lamp ancient Hebrew lampstand made of pure gold and used in the portable sanctuary set up by Moses in the wilderness and later in the Temple in Jerusalem. Fresh olive oil of the purest quality was burned daily to light its lamps. The menorah has been a symbol of Judaism since ancient times and is the emblem on the coat of arms of the modern state of Israel. Year 1164 (MCLXIV) was a leap year starting on Wednesday of the Julian calendar. Emperor Rokujō was the 79th emperor of Japan, according to the traditional order of succession. His reign spanned the years from 1165 through 1168. Year 925 (CMXXV) was a common year starting on Saturday of the Julian calendar. Wang Zongbi (王宗弼) was a major general of the Chinese state of Former Shu during the Five Dynasties and Ten Kingdoms period. Saint Caterina Volpicelli was an Italian Roman Catholic professed religious and the foundress of the Maids of the Sacred Heart of Jesus. 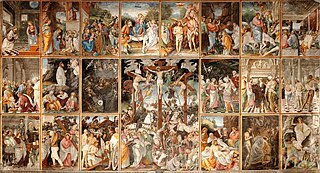 In the New Testament, the Massacre of the Innocents is the incident in the nativity narrative of the Gospel of Matthew in which Herod the Great, king of Judea, orders the execution of all male children two years old and under in the vicinity of Bethlehem. Most modern biographers of Herod, and probably a majority of biblical scholars, dismiss Matthew's story as an invention. The Church has claimed the children murdered in Jesus's stead as the first Christian martyrs, and their feast – Holy Innocents Day – is celebrated on 28 December. 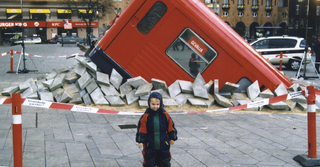 April Fools' Day or April Fool's Day is an annual (primarily) Western celebration commemorated on April 1 by playing practical jokes and spreading hoaxes. The jokes and their victims are called April fools. People playing April Fool jokes often expose their prank by shouting "April fool(s)" at the unfortunate victim(s). Some newspapers, magazines and other published media report fake stories, which are usually explained the next day or below the news section in smaller letters. Although popular since the 19th century, the day is not a public holiday in every country. In the biblical Book of Genesis, Cain and Abel are the first two sons of Adam and Eve. Cain, the firstborn, was a farmer, and his brother Abel was a shepherd. The brothers made sacrifices to God, each of his own produce, but God favored Abel's sacrifice instead of Cain's. Cain then murdered Abel, whereupon God punished Cain to a life of wandering. Cain then dwelt in the land of Nod, where he built a city and fathered the line of descendants beginning with Enoch. ↑ "'Introduction', An Inventory of the Historical Monuments in London, Volume 1, Westminster Abbey". British History Online. Retrieved 28 December 2018. ↑ Damon-Bach, Lucinda L.; Clements, Victoria (2003). Catharine Maria Sedgwick: Critical Perspectives. University Press of New England. pp. 33–. ISBN 978-1-55553-548-3. ↑ Peterson, Alison J. (December 28, 2017). "Rose Marie, Decades-Spanning Showbiz Veteran, Is Dead at 94". The New York Times . Wikimedia Commons has media related to December 28 .